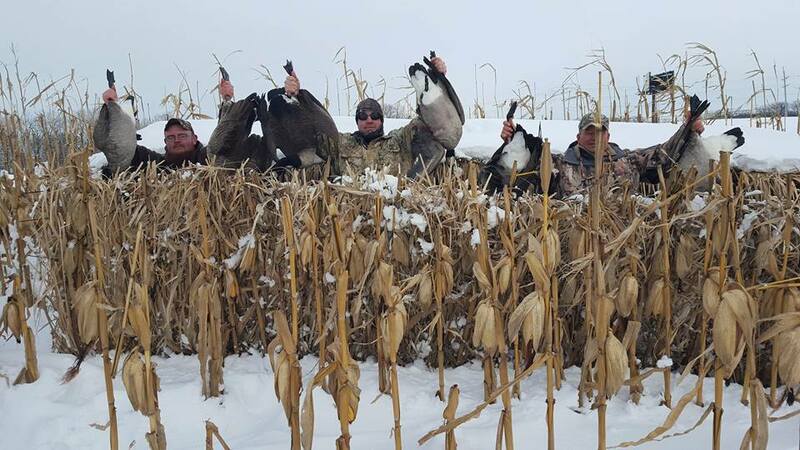 Porters Outdoors offers the ULTIMATE Goose & Duck hunting in Illinois’ northeast zone. We have comfortable heated pits & blinds in three counties and hunt over the finest decoys with the best guides in the world. If you’ve never hunted at a goose hunting club before, then you are starting at the top. If you have hunted at other goose hunting clubs, then you will surely appreciate the difference in the way that we run our club. We guarantee to get you an opportunity to shoot birds or your next hunt is only $75. After you hunt with us and you’ll want to hunt again year after year. We hunt several farms spread out across three counties in Northern Illinois. The birds here do not get the hunting pressure that they receive in most areas and by resting our fields more than we hunt them, we are able to consistently shoot birds every day. We scout our locations daily and limit the number of hunters to guarantee you the best opportunity for a successful hunt. There are three reasons we have been the number 1 Goose hunting club in Illinois every year since 1993. Location: We hunt the best fields and ponds in the state. Dedication: We are full time waterfowl hunting professionals. Our guides and staff are the best in the business and are committed to working hard every day so that you will be successful.